We live in a visual culture. Today, people increasingly rely upon visuals to help them understand new and difficult concepts. The rise and stunning popularity of the Internet infographic has given us a new way in which to convey data, concepts, and ideas. As teachers and lovers of sound theology, Challies and Byers have a deep desire to convey the concepts and principles of systematic theology in a fresh, beautiful, and informative way. In the bestselling Visual Theology, they have made the deepest truths of the Bible accessible in a way that can be seen and understood by a visual generation. 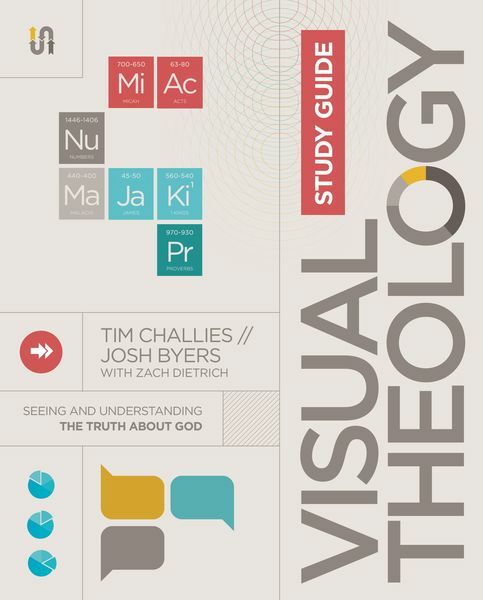 As a companion to Visual Theology, the Visual Theology Study Guide is a ten session study designed to help you grow in godliness by practicing what you learn, and it includes application for both personal and small group study. Each chapter includes key terms, group study discussion questions, and exercises for personal reflection in God's Word.